There is no denying that accidents will always happen. Some accidents cannot be avoided while others are completely preventable. 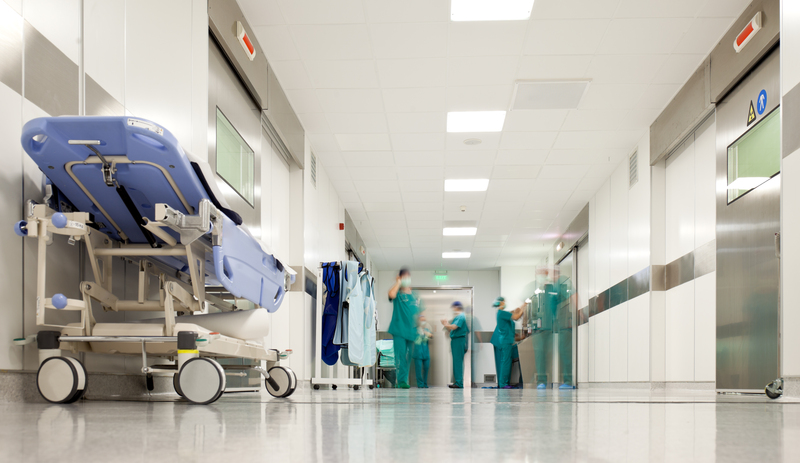 Each year, thousands of people in Indiana are injured due to negligence of another person. Whether you or someone you love was injured in a car accident, medical malpractice, slip and fall, or any other accident involving an injury, you deserve to be fully compensated for your injuries. You should never have to suffer because of someone’s deliberately reckless behavior. At Batesky Law Office, we fight to obtain the maximum compensation for our clients. Regardless of how difficult your case may seem, we have the necessary skills and experience to successfully resolve your case. We offer complimentary case evaluations and will never collect a fee unless we win your case. Whether you have been involved in a motor vehicle accident, slip and fall, or been a victim of medical malpractice, we can help! Falls account for over 44% of all personal injury cases. You have been involved in an accident. You have suffered injuries as a result of an accident. The accident was caused by someone else. The responsible party was negligent. The injury produced recoverable damages. It may seem like there are time when the injured persons themselves handle a simple personal injury case, the majority of claims will involve issues that are not obvious to the regular person and which may drastically affect the value of their claims. 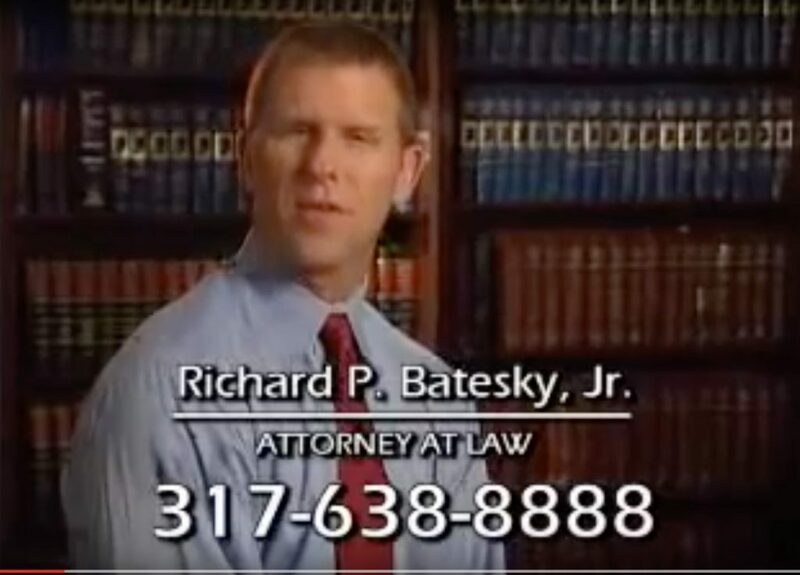 If you need an Indiana Personal Injury Attorney contact Indiana Personal Injury Attorney Richard Batesky now! Since an initial case consultation and evaluation of your Indiana personal injury claim is free of charge, you have nothing to lose and everything to gain by having us review your claim. Even if we don’t take your case, we may be able to provide you with priceless tips for resolving your claim yourself. An Indiana personal injury case normally begins as a claim brought against the alleged negligent part’s insurance coverage or against the internal claims-handling offices of self-insured governmental or corporate entities. There are other aspects of personal injury claims for example; any invasion of a personal right, including mental suffering and false imprisonment could be considered personal injury. For purposes of workers’ compensation, any harm (including a worsened pre-existing condition) that arises in the scope of employment can also be considered personal injury. In determining whether there is sufficient cause to move ahead with a personal injury lawsuit, an experienced Indiana Personal Injury Attorney will examine the details of the event and advise you on your legal rights. If you need an Indiana Personal Injury Attorney, contact Indiana Personal Injury Attorney Richard Batesky now! Since an initial case consultation and evaluation of your Indiana personal injury claim is free of charge, you have nothing to lose and everything to gain by having us review your claim. If you have been involved in a motor vehicle accident in Indianapolis, don’t let the negligent party’s insurance company try to settle with you before speaking with an experienced injury attorney. Richard Batesky has been fighting insurance companies for nearly 30 years. Contact us today for a complimentary case evaluation. We have won millions for our clients and will fight to get you all the compensation that you deserve. Property owners have an obligation under the law to keep their land and buildings safe for authorized visitors and businesses. The laws vary under local, state, and federal restrictions but the basic fact is the same. When the property is not properly taken care of, innocent people can suffer serious personal injuries. The most common injuries that occur from premises liability claims are broken bones, electrocution, broken bones, and head and neck injuries. The attorneys at Batesky Law Office in Indianapolis have the knowledge and experience in fighting premises liability cases. We will conduct a thorough investigation and be your voice during this difficult season. Contact our office today for a complimentary case evaluation. If you have been injured as a result of negligence of a property owner, contact Batesky Law Office today! Slip and fall injuries can have serious consequences and can cause a lifetime of medical intervention. Attorney Richard Batesky will seek full compensation for all costs including pain and suffering, medical bills, lost wages, and emotional distress. If you have suffered a devastating loss at the hands of a medical professional, contact Batesky Law Office today! Our experience can help you recover maximum damages. We investigate the incident, arrange for medical expert opinions, deal with insurance companies, and create a compelling case to get you all the money you deserve. Call Attorney Richard Batesky for a complimentary case evaluation. Construction sites are inherently dangerous. 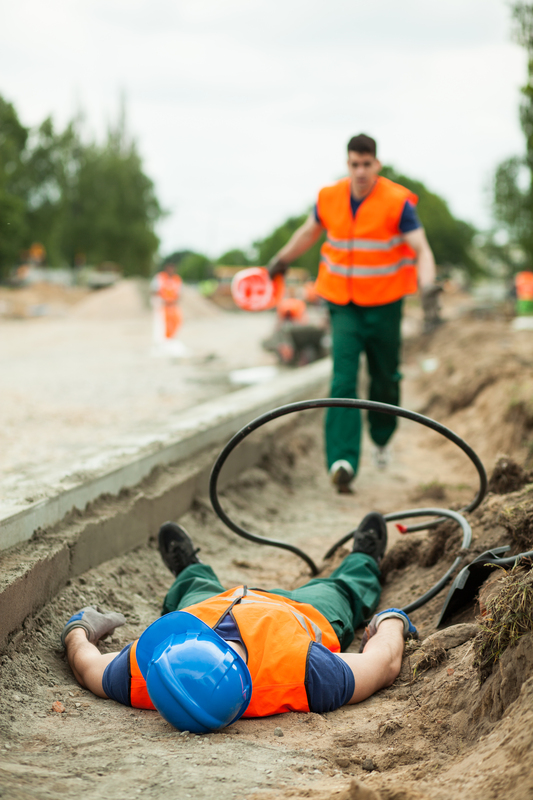 Even the safest workers can end up seriously injured if the construction site does not have the proper safety measures in place. Although construction sites are dangerous by nature, your supervisors are still responsible for keeping all employees safe. 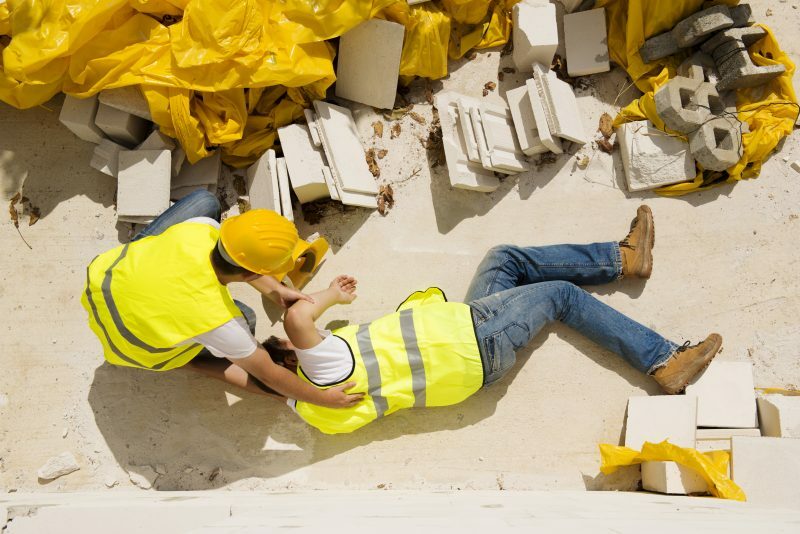 Construction accident injuries are complicated and there are a number of different entities who are partly liable for your accident. 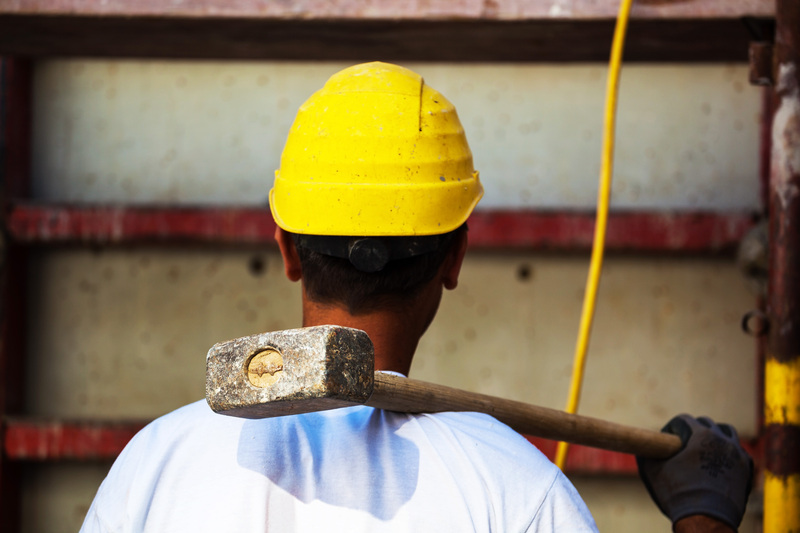 An experienced construction accident injury attorney in Indianapolis can help you understand and navigate the complicated system. Attorney Richard Batesky has nearly 30 years fighting for his clients who have suffered an injury or injuries on a construction site. Contact us today for a complimentary case evaluation. Dog bits typically happen suddenly. 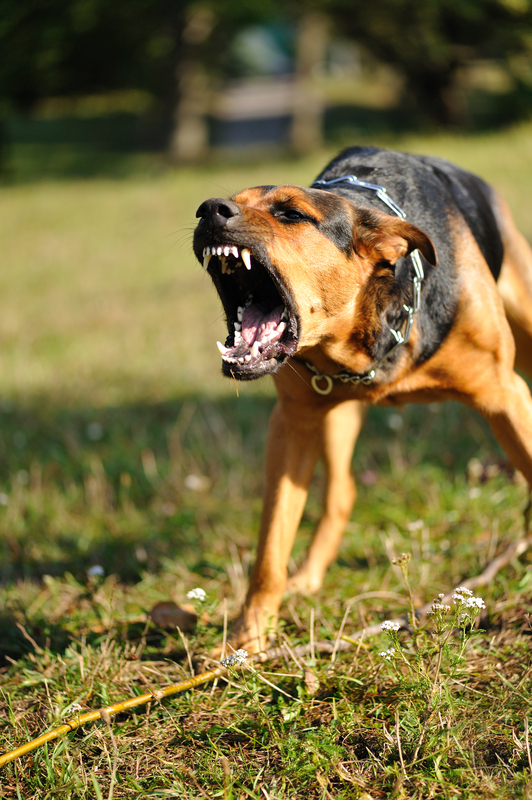 If you or a loved one has been bitten by a dog or any animal, contact an Indianapolis attorney who has the necessary skills and experience. Never sign anything from an insurance company without having an attorney review it. Attorney Richard Batesky will ensure that your rights are protected and will fight to get you maximum compensation for your injury or injuries. Contact us today for a complimentary case evaluation. When the decision is made to place an elderly loved on in a nursing home or assisted living facility, the family searches for the best facility possible. There is an expectation for elder care facilities to provide medical and personal care to our family members just as we would. Nursing home abuse and neglect is becoming increasingly common in Indiana. There are many signs of abuse to look out for including medication being improperly administered, soiled clothing, unsanitary living conditions, malnutrition and bruises. When the family discovers the abuse or neglect, they can be left feeling devastated and helpless. If your elderly loved one has suffered abuse or neglect at the hands of a nursing home, then you may have a valid claim. Batesky Law Office has the necessary skills, experience, and knowledge to obtain the maximum compensation from your claim. Schedule a free and confidential consultation today! 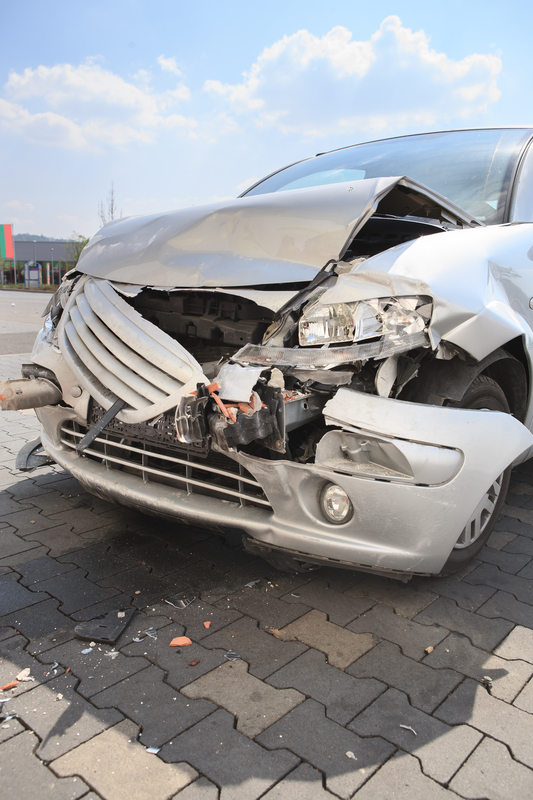 Motor vehicle accidents account for a large number of personal injury claims. Auto accidents can cause severe injuries due to factors such as speeding, drunk driving, and distracted driving. 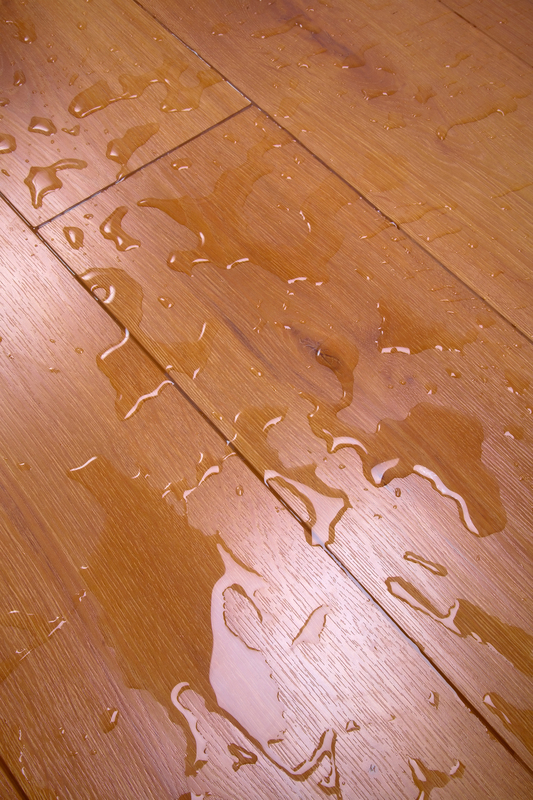 There are many causes of slip and fall accidents such as snow, ice, cluttered areas, spills, and unsafe conditions at a property. Property owners have a duty to keep their property reasonably safe for authorized guests. Premises liability typically comes into play with personal injury cases when the injury was sustained as a result of unsafe or defective conditions on someone's property. While construction sites are dangerous by nature, supervisors have a duty to keep their employees safe. Proper safety measures are important for keeping everyone safe on a construction site. 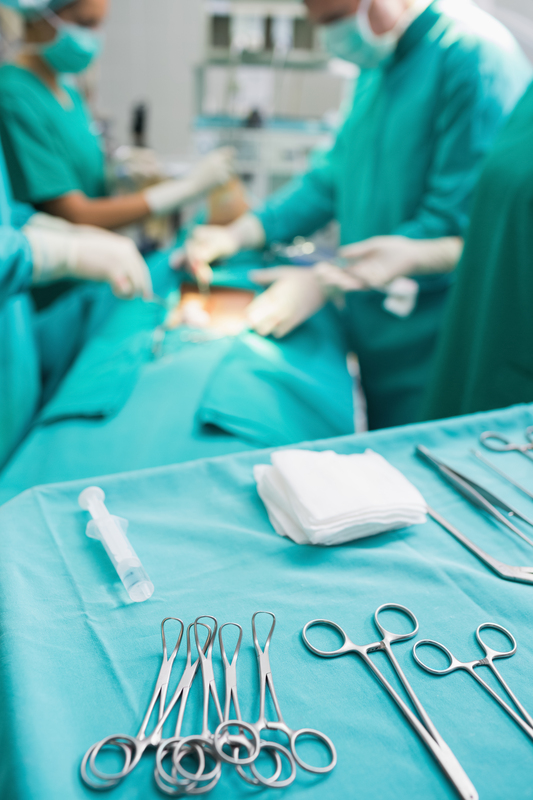 Surgical mistakes can cause a lifetime of medical problems for you. A doctor or hospital has a duty to to uphold a standard of care. When you purchase a product, you expect that product to be free from defects. Defective products are responsible for many personal injury cases each year. Pet owners have a duty to exercise caution when taking their pets in a public area which includes the use of a leash, muzzle, or other means that keep the dog from biting another person. Burn injuries can have catastrophic and long-term effects. If these injuries are a result of negligence of another person or company, you may be entitled to compensation through a personal injury claim. A head injury is classified as an injury to the scalp, the skull, or the brain. Head injuries most often occur as a result of an auto accident where negligence has occurred. Negligence is the biggest factor in personal injury cases. The negligent party must be held legally responsible when an individual has been injured. Occasionally, a settlement can be reached before a lawsuit is filed. An experienced attorney can determine the best approach for sending demand letters. If your attorney believes your case can be settled, he will send a demand for payment to the person at fault, or their insurance company. If the demand is unsuccessful, your attorney will proceed with filing a lawsuit. When your attorney files a lawsuit, your case has officially begun. An experienced attorney in Indiana will notify the court and the defendant that a personal injury case has been filed and that they are your counsel. The defendant is required to send an answer to acknowledge that the case will be proceeding. Personal injury claims can take months or years to settle or resolve. Evidence requests, schedule conflicts, and other conflicts may arise that push your trial date. An experienced attorney will keep you informed and do his best to expedite proceedings so that you can be compensated for your loss. Often times, people think that any time they are injured in some type of accident that they have grounds for a personal injury claim. However, in order to have a valid personal injury case, there must be proof of negligence by another person. In order to prove negligence, there are four elements that must be proven including: duty of care, breached duty of care, injuries were caused by the breached duty of care, and damages were suffered. What evidence is needed for a personal injury claim? Evidence varies from case to case but key pieces that can help your case tremendously are pictures from the scene of the accident, pictures of injuries, medical records, eyewitness accounts, police report, and accident report. The main factor that determines the value of a personal injury claim is the cost of the damages you suffered because of your injuries. As the cost of damages go up, the value of the personal injury claim goes up. What kind of damages can I recover in a personal injury claim? There are two categories of damages that you can recover in personal injury claims: economic and non-economic. Economic damages include all medical bills related the injury such as surgery, prescription drugs, and ambulance transport, lost wages, and damage to property. Non-economic damages include physical pain, mental and emotional scarring/suffering, and loss of enjoyment due to injuries. Can I recover compensation if I was partially at fault? Under Indiana law, if you are 51 percent or more responsible for your injury then you cannot recover any compensation. If you are less than 51 percent responsible, your compensation will be reduced by that percentage that you are at fault. At Batesky Law Office, we represent our clients on a contingency fee basis. This means you receive a complimentary case evaluation and if we take your case, there is no charge for legal fees unless we obtain compensation through a settlement or trial. We do not get paid unless you do! Personal injury cases can take anywhere from a few months to a year or more to reach a resolution. There are many factors that vary from case to case. What is the statute of limitation for personal injury in Indiana? The statute of limitations for personal injury claims in Indiana is two years from the date of the injury. If you do not file a lawsuit within that time, you lose the right to do so. While it is not required to have an attorney, we highly recommend hiring a personal injury attorney to handle your case. The process can be overwhelming and your attorney will manage every aspect of your claim while you focus on recovery. We have represented hundreds of rear end accidents and received maximum compensation for our clients. Trucks are notorious for reckless driving and are the cause of many accidents on the roadways. We have helped truck accident victims in our nearly 30 years of practice. Every day people choose to operate their vehicles while under the influence of alcohol. Batesky Law Office has helped hundreds of victims who have been injured in an accident caused by a drunk driver.